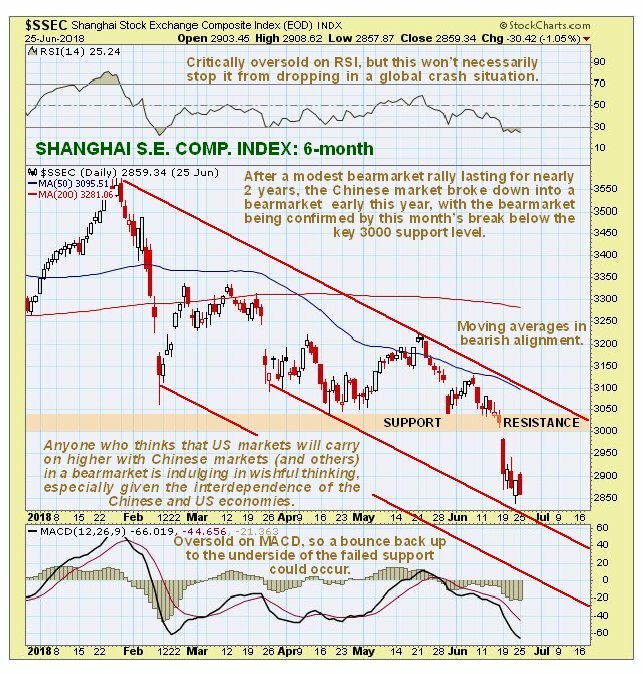 From Streetwise Reports: Technical analyst Clive Maund examines the Chinese stock market and the example it may be setting for the U.S. market. 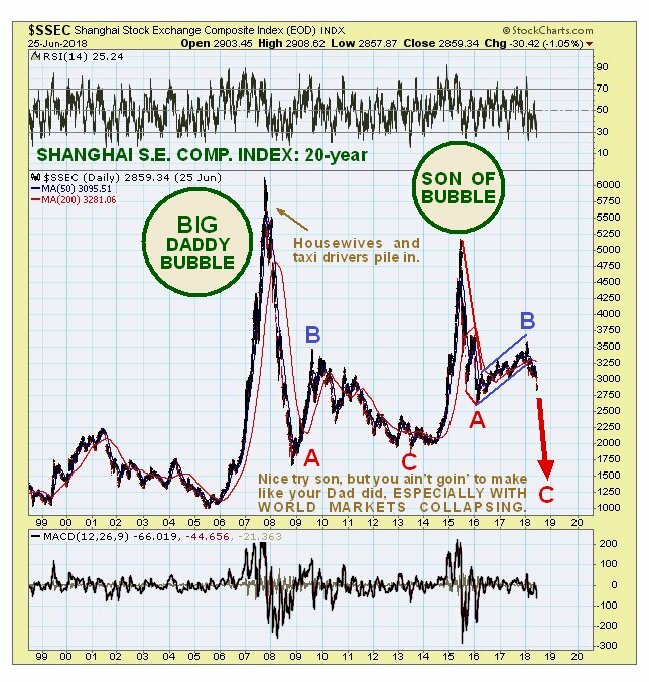 Just where the Chinese market is in its life cycle becomes clear when we look at a 5-year chart, on which we can see the “Son of Bubble” rally of 2014-2015, which was largely caused by naïve investors hoping for a repeat of the monstrous spectacular bubble of 2006 and 2007, which will go down in the annals of Chinese investing history, and which we label “Big Daddy Bubble” on the 20-year chart further down the page. Full marks to them: they almost succeeded in creating a self-fulfilling prophecy, as Son nearly grew up to be as big as his Dad. After Son of Bubble burst a much weaker attempt to get it going again, which of course was partly an unwinding of an oversold condition, resulted in the relatively mild protracted bear market rally that unfolded from early 2016 through early this year. Then the rot set in again and a bear market downleg started, with it being fully confirmed by last week’s breakdown below key support at 3000. The entire pattern from mid-2015 is considered to be a larger order 3-wave bear market, with the 3rd C-wave just starting, that promises to be really severe, given collapsing markets elsewhere and the intensifying trade war. 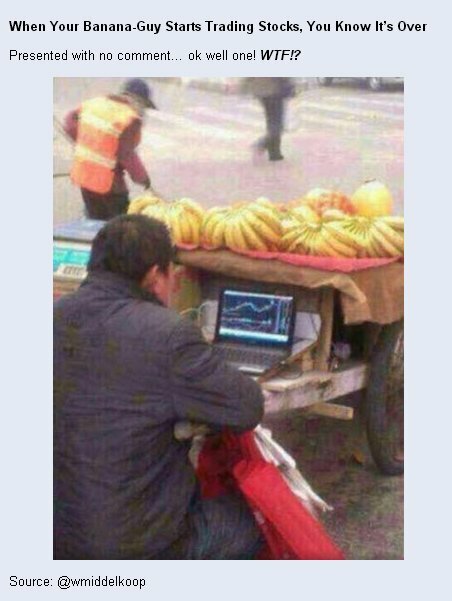 A potential path for this bear market is shown, although this is an approximation and shouldn’t be taken too literally. 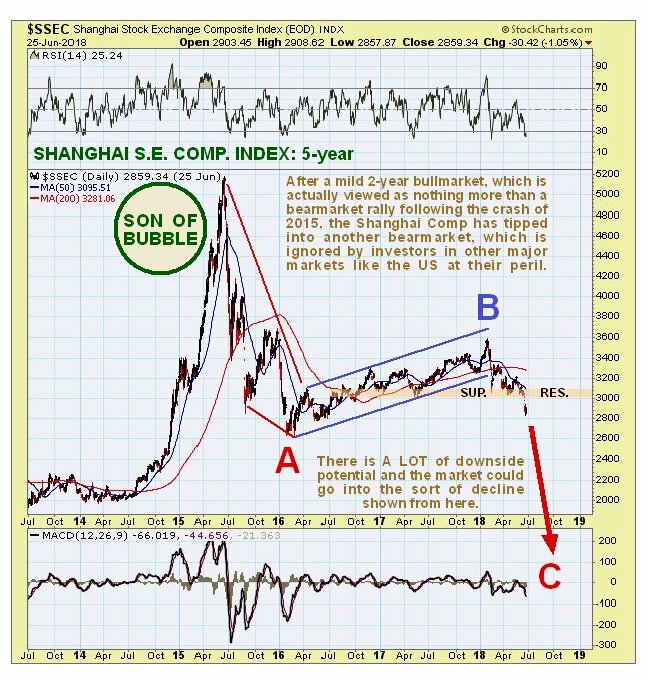 Back to the chart, there is considered to be a high probability that the Shanghai Comp will collapse back near to the sort of levels that it was at before the 2006-2007 ramp, especially given the background of imminent collapse of most world markets due to the intensifying debt crisis. A big reason for the growing weakness of the Chinese market is, of course, the prospect of a worsening trade war, but trade wars are not a one-way street, there are no winners–everybody loses, and that will certainly include the instigators of the trade wars, the U.S. They are the product of desperation, and while they may please a few coal miners and steel workers in the rust belt of the U.S., their minimal beneficial effect will be much more than offset by their negative impact. U.S. investors had therefore better take heed of the worsening Chinese markets as another indication of what lies in store for U.S. markets, which are expected to follow suit. The iShares China Large-Cap ETF (FXI) rose $0.64 (+1.51%) in premarket trading Friday. Year-to-date, FXI has declined -8.25%, versus a 1.92% rise in the benchmark S&P 500 index during the same period. FXI currently has an ETF Daily News SMART Grade of B (Buy), and is ranked #17 of 38 ETFs in the China Equities ETFs category.